In so many ways, God is always reaching for us: through circumstances in life, through hardships, and through joys. God is an intimate and loving Person Who is always looking for a way to draw nearer to us. But if we don’t reach back, we will never experience the depths of a fulfilling relationship with Him. Nothing in Heaven or on Earth can change our lives for the better, more than a personal relationship with the Lord. 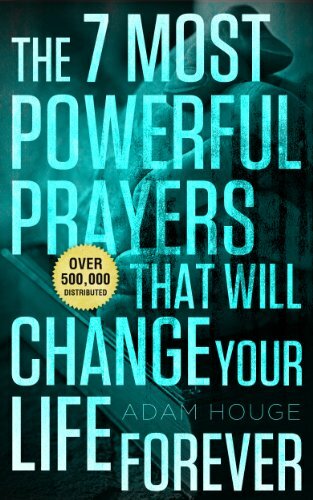 Click here or type in http://smarturl.it/5314 into your web browser to pick up your copy of The 7 Most Powerful Prayers That Will Change Your Life Forever in the Amazon Kindle store. Adam is a preacher, teacher, and bestselling author of nearly forty books on the Christian faith. Through his travels he’s seen the need for a new awakening and a new revival: A revival of the heart. Come join Adam on this journey of redemption and experience God like never before! Some people are born with backbone. Others have to fight for it. List in-hand of suitable bachelors, Lady Reanna Halstead, the epitome of naivety, is thrust into London society with demands to gain a husband. To her utter amazement, she manages to capture the attentions of the Marquess of Southfork. Her love, dreams, and future are soon pinned on her marriage to this one man. One handsome, kind, fantastic man. One man, who has a very different idea of what this marriage will be. He will be hated, before he is loved. Killian Hayward, Marquess of Southfork, is only one step away from completing the revenge he has fought his entire life for. All he has to do is marry Lady Halstead. The one woman that is the key to his revenge. To his peace. The one woman that will threaten the very foundation of his entire existence. The Hold Your Breath series continues. 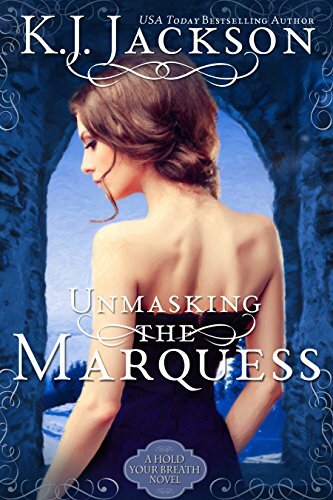 Click here or type in http://smarturl.it/eiv7qz into your web browser to pick up your copy of Unmasking the Marquess in the Amazon Kindle store. Waiter to the Rich and Shameless is not just a peek into the secretive inner workings of a legendary 5-star restaurant; it is not just a celebrity tell-all or a scathing corporate analysis. It is a top-tier waiter’s personal coming-of-age story, an intimate look into the complicated challenges of serving in the country’s most elite, Hollywood-centric dining room while fighting to maintain a sense of self and purpose. Of the many millions of food service workers around the globe, only a tiny number ever ascend to a top-level position at a world-renowned restaurant catering to iconic celebrities, moguls and politicians. As one of those select few, Paul (“Pauli”) Hartford is the first waiter to open the door into a cloistered, coveted world of money, fame, bad behavior and intrigue. He peels back the veneer of civility and culture at the nation’s most preeminent celebrity hangout, the Cricket Room, in Beverly Hills, California. He exposes the epic human foibles of its elite clientele, the dining room’s corrupt corporate culture, its clandestine culinary practices, and the heartbreaking struggles of its beleaguered waitstaff. This keenly-observed story also traverses Pauli’s ten-year evolution from a jaded, party-hungry rock musician who moonlights as a bartender, into a snobbish and pretentious waiter, and finally into a polished and sophisticated server who takes his job so seriously that it drives him to the brink of illness. Pauli finds himself at first seduced by his famous guests’ glamour and self-indulgence, then accustomed to it, and finally appalled by it. For obvious reasons, some details and specifics about the real Cricket Room have been cleverly disguised, but discerning readers will easily connect the dots. 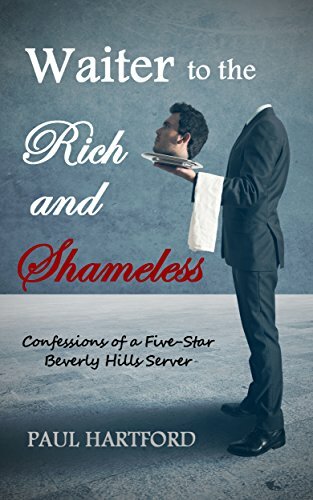 Click here or type in http://smarturl.it/kbhy1u into your web browser to pick up your copy of Waiter to the Rich and Shameless: Confessions of a Five-Star Beverly Hills Server in the Amazon Kindle store. In the mystical realm of Jyndari, a relationship blossoms between two unsuspecting yet kindred souls. Ayla, a Light-loving Guardian of Childfey, hides more than a few secrets—ones which isolate and set her apart from the rest. Yet Ayla’s veiled confidences entice one who lurks in the shadows. Silent and watchful, this dangerous presence knows all too well the secrets she wishes kept hidden. The Darkness-revering Fey bids his time, waiting for the ideal moment to step away from the shadows and reveal himself to Ayla. But doing so will irrevocably alter the course of their lives … and shatter both their worlds. Brimming with magic and mystery, beauty and enchantment, Dark Fey, The Reviled is a fantasy like no other; one that is an adventure for both mind and spirit. 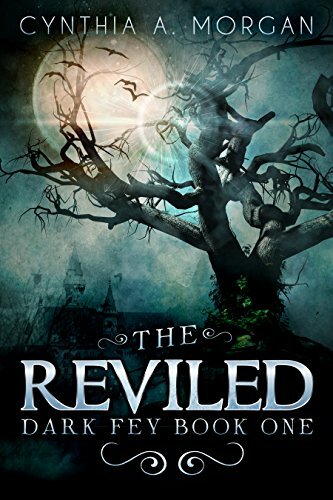 Click here or type in http://smarturl.it/reviled into your web browser to pick up your copy of The Reviled in the Amazon Kindle store. MAC IS BACK, but he’s running out of chances and running out of time. Picking up where Mac Walker’s story left off in the bestselling Black Ops action-thriller, MAC WALKER’S BENGHAZI, former Navy SEAL gun for hire Mac Walker returns to the United States only to find his own government now seeking to silence him for what they believe he knows. MAC WALKER’S BETRAYAL is another fast-paced spy thriller from bestselling author D.W. Ulsterman that will keep you guessing at what fate has in store next for the kill first, question later, Mac Walker. 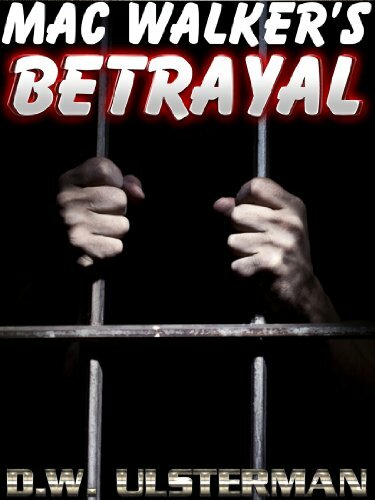 Click here or type in http://smarturl.it/r9xbx6 into your web browser to pick up your copy of Mac Walker’s Betrayal in the Amazon Kindle store. 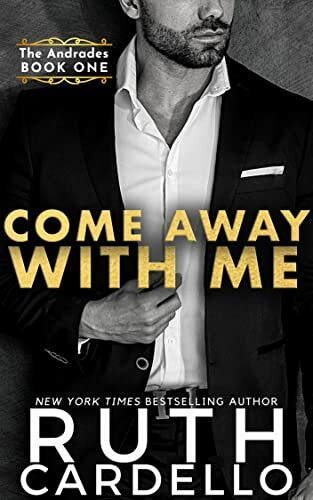 Click here to pick up your free copy of Come Away With Me in the Amazon Kindle store. The Gathering Horde introduces readers to Zed’s World, the first seven episodes of an online serial saga released for the first time with updated content as a novella. Go to www.zedprep.com to join the mailing list and see exclusive content before it’s available to the public! 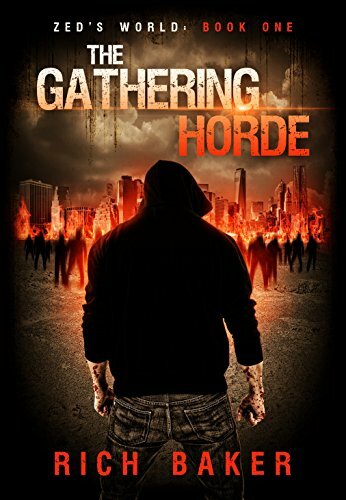 Click here to pick up your free copy of Zed’s World Book One: The Gathering Horde in the Amazon Kindle store. 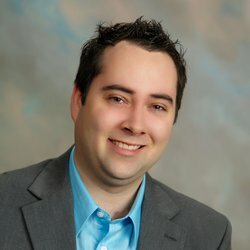 Want to have this blog sent wirelessly to your e-Ink Kindle vs. reading it on your computer? Try out the free two-week trial subscription! Click here for the Amazon page of the Free Kindle Books and Tips blog or type in http://www.smarturl.it/fkblog into your computer’s web browser. 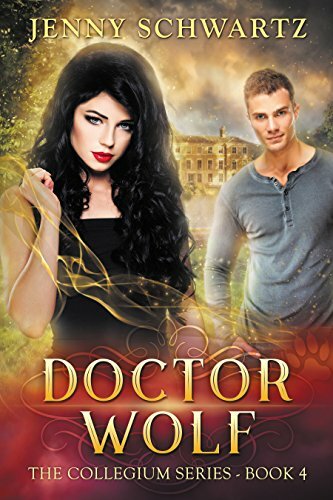 Click here or type in http://smarturl.it/doctorwolf into your web browser to pick up your copy of Doctor Wolf in the Amazon Kindle store. The only thing standing between Angie and her happily ever after is the stubborn man she’s in love with, and a deadly group of criminals. Angie Meyers loves her mystery man—the father of her teenaged son—and wants desperately for them to live as a family. Dr. Matthias Alejandro Martinez is comfortable with things as they are. His ground-breaking research keeps him busy while he remains invisible to the world, and he loves the stolen moments he has with the mother of his child. Meyers Security will have to take down a deadly group of organized criminals—with unexpected bedfellows—before there’s even a remote chance for Angie and Matt to have their happily ever after. 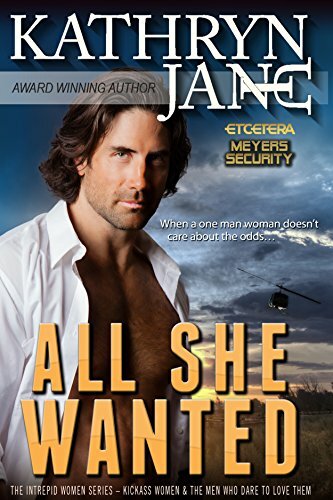 Click here or type in http://smarturl.it/allshewanted into your web browser to pick up your copy of All She Wanted in the Amazon Kindle store. Click here or type in http://smarturl.it/3k7dqk into your web browser to pick up your copy of The Opposite of Wild in the Amazon Kindle store. After Jerry Laymon stumbles delirious from a bloody accident, a beautiful girl rescues Jerry and brings him home to her decrepit apartment complex. Soon Jerry discovers a hidden entrance into the attic, a crawlspace through which he can secretly enter any apartment. But he isn’t the only person aware of the secret entrance. Crawlspace is a terrifying journey into urban legend, darkness, and murder. Click here or type in http://smarturl.it/9ak2l6 into your web browser to pick up your copy of Crawlspace in the Amazon Kindle store. 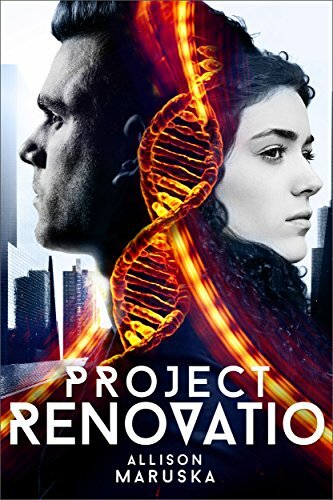 Click here or type in http://smarturl.it/urdpma into your web browser to pick up your copy of Project Renovatio in the Amazon Kindle store. Young Bradon McTavish watches the bluecoats brutally hang his father and destroy everything he’s known, and he escapes their wrath into the gunsmoke and blood of war. 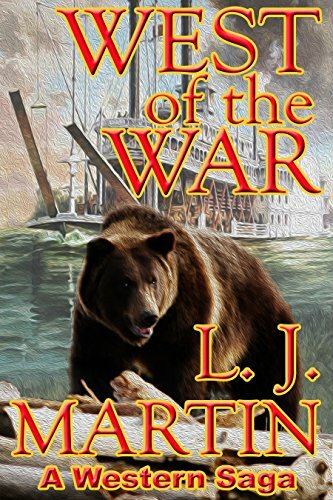 Captured and paroled, only if he’ll head west of the war, he rides the river into the wilds of the new territory of Montana where savages and grizzlies await. He discovers new friends and old enemies…and a woman formerly forbidden to him. Action adventure at its best from the author of Nemesis, Mr. Pettigrew, the Montana Series, and many more acclaimed westerns and historicals. Click here or type in http://smarturl.it/4tit0k into your web browser to pick up your copy of West of the War in the Amazon Kindle store. Plunge deep into darkness with 28 terrifying tales. Explore heartache, happiness, and horror in this collection of short stories by Mark Tullius, the author of 25 Perfect Days, named one of IndieReader’s Best Indie Books for 2013. This collection is composed of all the stories in Each Dawn I Die, Every One’s Lethal, and Repackaged Presents, plus two bonus stories. A pornographer’s horrific early morning ritual. A beautiful baby boy who knows what he wants. An engineer sees life on the other side of the tracks. A drug run goes awry. A family’s unique Christmas tradition. An artist whose paintings become reality. A man who longs to rid himself of an annoying companion. A child terrified by things that slither and ooze in the night. Come join a soldier on the run in the jungle. An old man’s quest for the perfect photo. A woman who sniffs out killers. A life coach whose own brand of “therapy” goes way beyond cruel and unusual. A young man who can’t let go of the past. 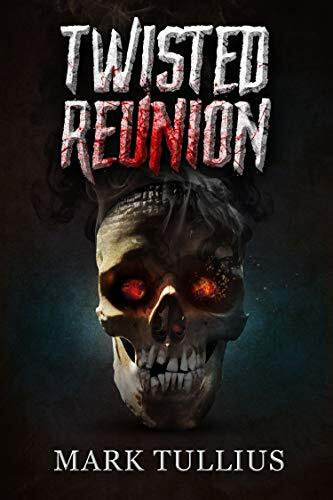 Click here or type in http://smarturl.it/twistedreunion into your web browser to pick up your copy of Twisted Reunion in the Amazon Kindle store. 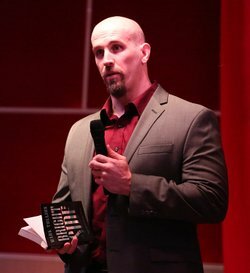 Mark Tullius is the host of the podcast, Unlocking, and the author of 25 Perfect Days, which was named one of IndieReader’s Best Indie Books for 2013. An Ivy League graduate, Mark lists Chuck Palahniuk and Stephen King as the authors who most influence his own writing. He attests that attending Tom Spanbauer’s Dangerous Writing workshop marked the turning point in his career. In addition to 25 Perfect Days, Mark is the published author of five books and over two dozen short stories. His podcast and blog address a wide range of topics including mental health, fitness, parenting, and social issues; one of his blogs was featured by the NoH8 Campaign. Mark’s passion for martial arts once had him competing in Mixed Martial Arts (MMA). When head injuries sidelined his training, Mark launched a project called Unlocking the Cage that merges his love of the martial arts, his talent for writing, and his sociology degree from Brown University. In October 2014, Mark was invited to guest lecture on the Sociology of Martial Arts at his alma mater. Unlocking the Cage is a sociological study of why fighters are drawn to the sport of MMA, and why, despite actual and potential injuries, they continue to climb into the cage. Mark has traveled to 23 states, visited over 100 gyms, and interviewed close to 400 fighters from very diverse backgrounds. You can visit Mark’s Amazon author page if you click here or type in http://smarturl.it/tullius into your web browser. Alexander thinks it will be easy to break up with his mistress because he has done it many times before with other women. But, Karen is different. 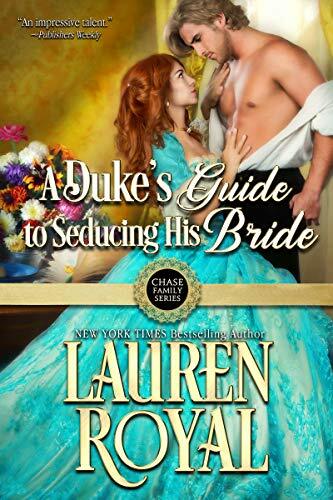 She doesn’t want to be dispensable and decides to use Alexander’s wife in her plans. His wife doesn’t suspect anything, which is perfect for Karen. Nothing can stand in the way of her happiness. Or, so she thinks. 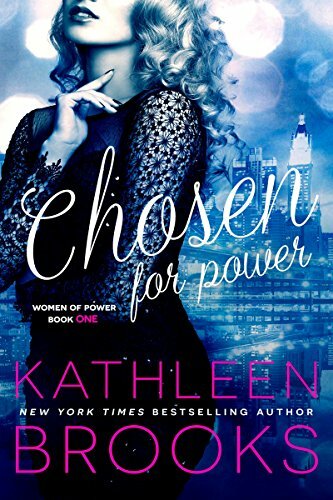 After her beautiful plan is in place and she assumes everything is under her control, things begin to take a different turn. Suddenly, nothing is under her control. Skeletons are pulled out of everyone’s closets and lives are destroyed. In this book no one is innocent–until proved otherwise. 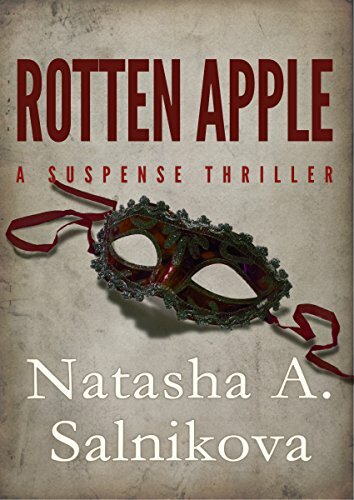 Click here or type in http://smarturl.it/kqxyuk into your web browser to pick up your copy of Rotten Apple in the Amazon Kindle store. 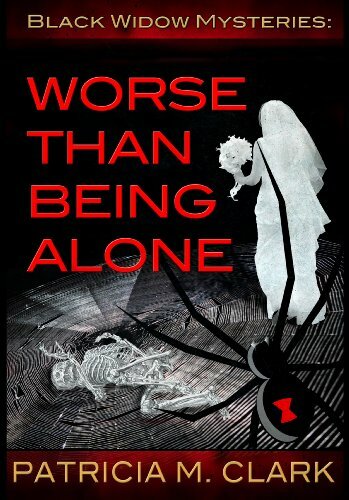 Click here or type in http://smarturl.it/un9rsp into your web browser to pick up your copy of Worse Than Being Alone in the Amazon Kindle store. The woman’s death was not an accident and Stone is certain this isn’t the killer’s first victim. 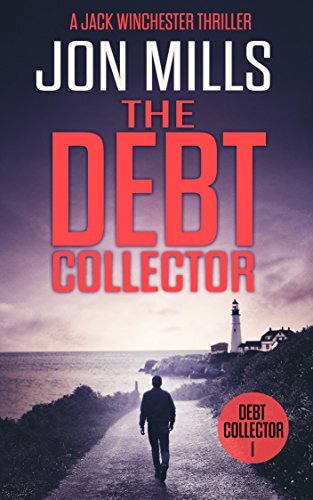 He asks Annie to help him prove it, but before long the investigation takes a sinister turn. The bodies of women start showing up all over the Mat-Su Valley looking like horrific ice sculptures. Now Annie and Stone are on the hunt for a sadistic killer hiding in a state over twice the size of Texas and largely comprised of uninhabited wilderness. Will they capture this beast before he finishes his perverse agenda and disappears…again? 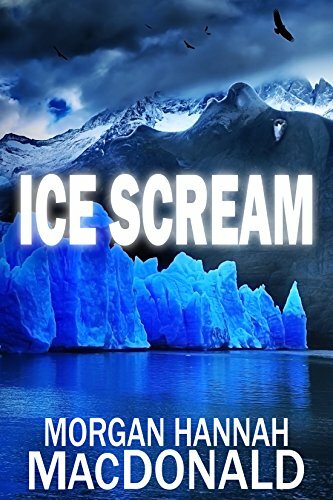 Click here or type in http://smarturl.it/icescream into your web browser to pick up your copy of Ice Scream in the Amazon Kindle store. 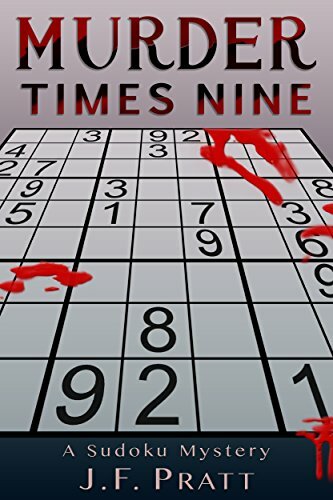 Murder Times Nine is a detective Sudoku puzzle mystery set in present day Reno. When a young woman’s strangled body is discovered among the willows on the banks of the Truckee river, the autopsy reveals a Sudoku puzzle grid branded onto her. Within the grid, nine numbers are filled in. When a second victim is found knifed through the chest with a Sudoku puzzle grid tucked neatly in his breast pocket with nine additional numbers, Detective Charles Lee fears a serial killer is stalking his city. The vengeful and brilliant killer leaves only a single clue at each of the murders. That clue is a Sudoku puzzle devised to taunt and tease the detective. The murderer adds nine numbers to the puzzle left on the most recent victim’s corpse. The numbers are a code that identifies the next victim. Using antique and unusual weapons for each of the murders heightens the grisly killings. The bodies keep piling up as the murderer leaves an increasingly more complete puzzle on the latest victim. Detective Lee knows he is running out of time. He must unravel how these sets of nine numbers target the next victim. Can he determine who will be the next victim before another dead body is found? Only then, will he be able to stop the killer before the puzzle is complete and the killer vanishes. Fast paced action throughout. In the early chapters, a discerning and analytical reader can decode the killer’s added numbers by a careful reading of the chapter describing the next victim. No math skills required! Click here to pick up your free copy of Murder Times Nine: A Sudoku Mystery in the Amazon Kindle store. 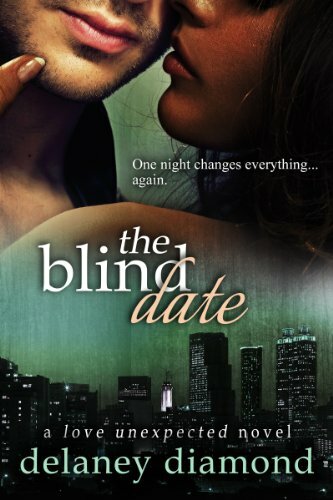 Click here to pick up your free copy of The Blind Date in the Amazon Kindle store. 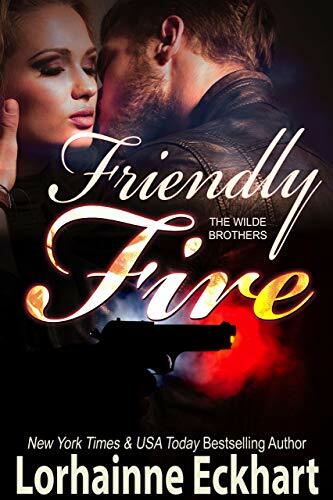 In FRIENDLY FIRE, after a roadside bomb ends his career in the marines, Logan Wilde struggles to put his life back together, taking a job as a sheriff in a small Idaho town. He expects a quiet, peaceful life that will bore him to tears. Until he walks through the door of Julia Cooper’s cafe. 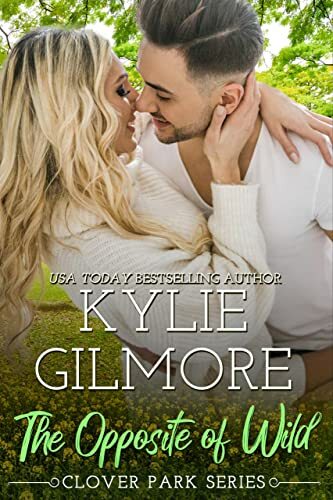 From the moment the new sheriff walks into Julia’s cafe, she fights the attraction from the new sheriff, a man she recognizes is ex-military and has baggage that comes along with it. Even though she’s never felt this way for another man, Julia isn’t willing to take a chance with Logan. No she’s convinced herself she needs stability, someone average, someone who has never handled a gun. Except when her daughter disappears its Logan who’s there for her, it’s Logan she turns to, and Logan who turns the town upside down searching for her. 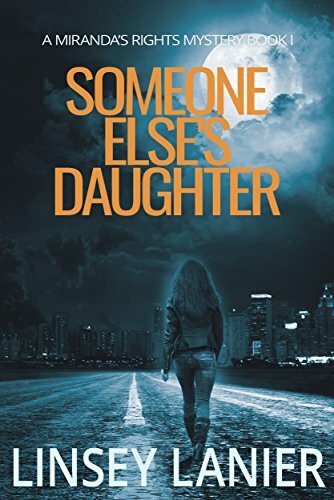 But what Logan realizes is the disappearance of her daughter may not be as it seems, and while Julia waits on the sidelines she wonders if she’ll ever be able to trust again and open her heart and take a chance on love. Click here or type in http://smarturl.it/kd95fq into your web browser to pick up your copy of Friendly Fire in the Amazon Kindle store. From a USA TODAY AUTHOR OF WOMEN’S FICTION BEST SELLERS comes an uplifting tale of trust, love and friendship. The Twelfth Child, told in the timeless tradition of Southern Fiction, is a novel rich with emotion, humor and tenderness. A Historical Mystery set in the 20th Century, this is a story of love, friendship and one woman’s struggle to survive America’s Great Depression. 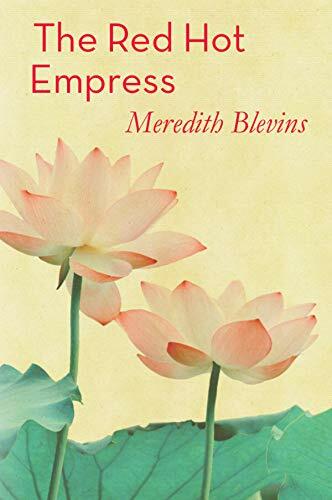 This Award Winning book is the recipient of the FPA President’s Book Award Silver Medal and the Royal Palm Literary Award for Women’s Fiction. 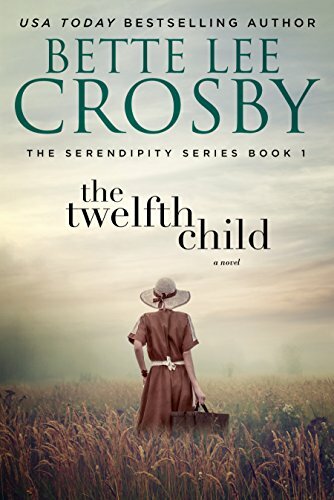 Click here or type in http://smarturl.it/pjou2s into your web browser to pick up your copy of The Twelfth Child in the Amazon Kindle store. Was it a fling . . . or was it forever? 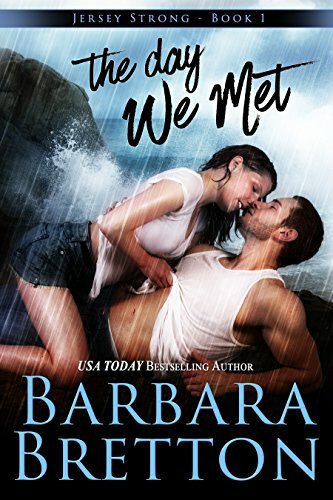 Click here to pick up your free copy of The Day We Met in the Amazon Kindle store. PUT WALT TO WORK FOR YOU! How do you go from dreaming of a theme park to building one? Walt Disney laid the blueprint. Learn how he did it, and how his wisdom can guide you toward achieving the things that you dream of. The experts told Walt it’d never work. A giant theme park, where parents and children could play together? Crazy! So Walt put all of his money into this crazy dream of his. He put his reputation on the line. Anyone else would have quit, discouraged and disillusioned, but Walt built Disneyland. How did he go from dreaming to doing? And how can you do the same, no matter what your goal? WITH THE WISDOM OF WALT, YOUR SUCCESS IS JUST A DREAM AWAY! 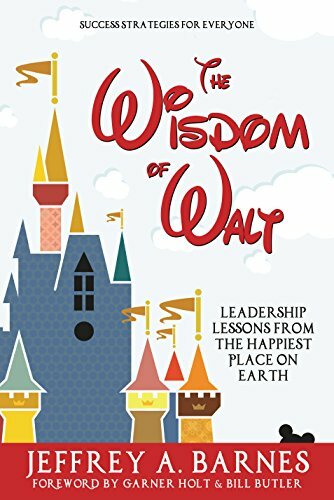 Click here or type in http://smarturl.it/widsomwalt into your web browser to pick up your copy of The Wisdom of Walt in the Amazon Kindle store. Jeff Barnes is an author, professional keynote speaker, higher education administrator, university professor, and leadership/success coach. 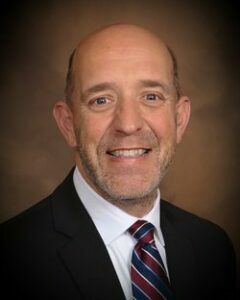 He has more than thirty-five years of professional speaking experience and nearly twenty years experience leading teams in higher education and teaching more than twenty different college courses in both the traditional classroom and online–including The History of Disneyland at California Baptist University. He attributes his passion for Disneyland to his love of history, story, and success. He believes the Park teaches us some of life’s greatest lessons–as long as you know its history, know what to look for, and you are willing to connect it all to your own story. You can visit Jeffery’s Amazon author page if you click here or type in http://smarturl.it/barnes into your web browser. 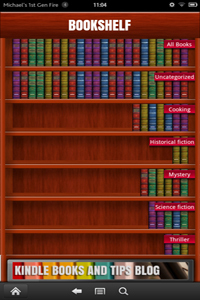 Included in this post are five free Kindle book offers in a variety of genres for Monday: for those books listed as being free in this post – while the pricing of the free status is valid at the time of this posting, please make sure you check the pricing carefully before you press the “buy” button as it could revert back to paid status at any time! Under mounting pressure from his boss and local police—as well as the ghosts of his past—he must unravel the mystery and decide where his loyalties lie…before it’s too late. 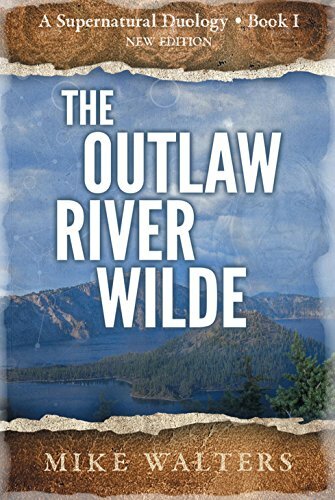 Click here to pick up your free copy of The Outlaw River Wilde in the Amazon Kindle store. 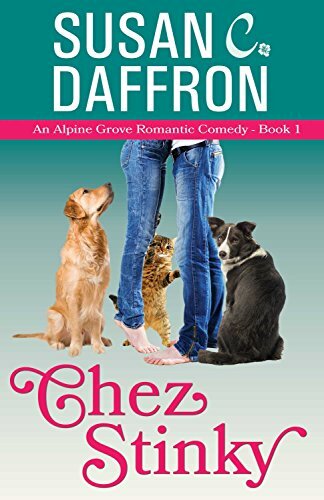 Click here to pick up your free copy of Chez Stinky in the Amazon Kindle store. 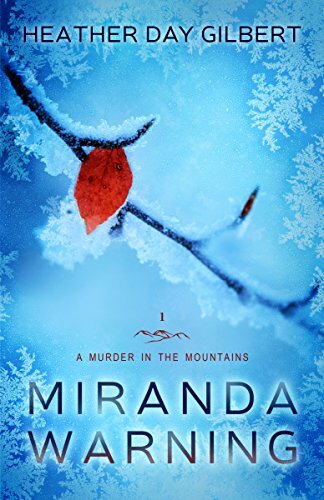 Click here to pick up your free copy of Miranda Warning in the Amazon Kindle store. 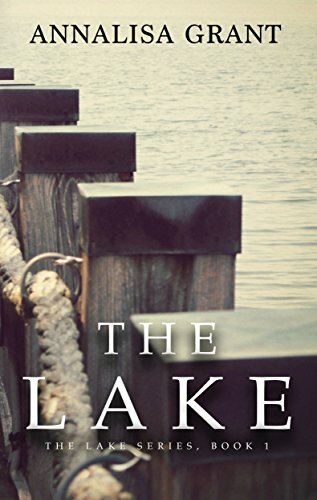 Click here to pick up your free copy of The Lake in the Amazon Kindle store. Click here or type in http://smarturl.it/t8lx8i into your web browser to pick up your copy of Amber in the Amazon Kindle store. A new Young Adult Paranormal coming of age series delving in the fantasy and magic of Hindu mythology and its plethora of gods, demons, legends & mythology. 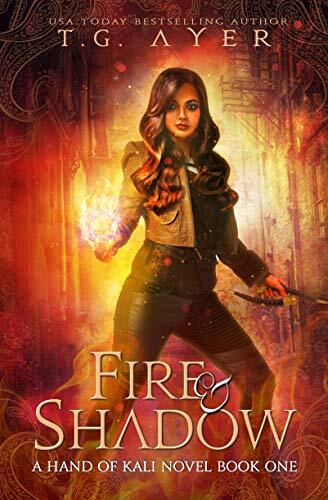 Click here or type in http://smarturl.it/yxhjya into your web browser to pick up your copy of Fire & Shadow in the Amazon Kindle store. He was her anchor. She was his home. Gracie Taylor fell in love with Noah Chase on the first day of kindergarten. Gracie was the girl from the wrong side of town. Noah was the town’s golden boy. Their families had been at loggerheads since the death of Gracie’s mother years ago and as they grew up, they had to risk everything to be together. Now, eight years later, Gracie returns to Maine for her father’s wedding. When she discovers Noah has come home to Idle Point to save the family business (and that he has a little daughter named Sophie) Gracie also discovers that nothing has changed. Their love for each other is stronger than ever, but the secrets that drove them apart still hold the power to ruin their lives. Will past mistakes destroy their love or will they finally find happiness together… at last? 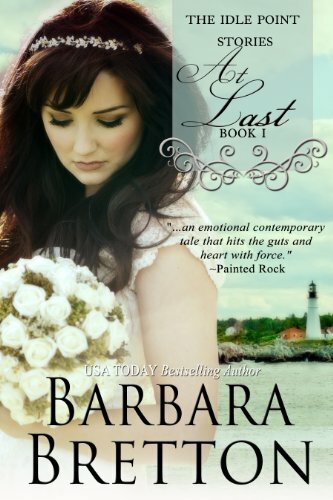 Click here to pick up your free copy of At Last in the Amazon Kindle store. 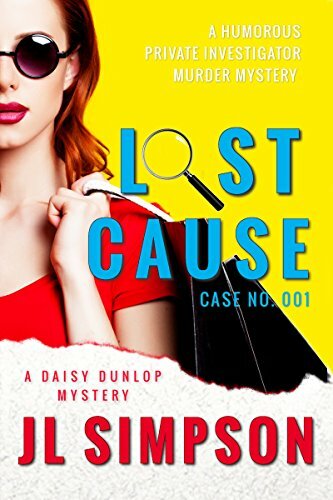 Click here to pick up your free copy of Lost Cause in the Amazon Kindle store. Can an aspiring magician make her own past disappear? Waitress Christina Davenport lands in a world of trouble when she accepts a job as an assistant to a charming street performer. She’d wanted to be a magician and vowed to never again stand in the background holding some guy’s props, but Christina has a score to settle—with her traumatic family history, with people telling her she can’t hack it on her own. Reynaldo the Magnificent is more than a little full of himself and has a dark side, but to Christina, he could be her second chance, her redemption, her ticket to something bigger. If only she can learn from him before he discovers her secrets. 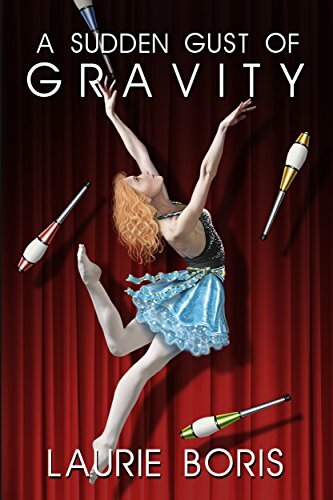 Click here or type in http://smarturl.it/suddengust into your web browser to pick up your copy of A Sudden Gust of Gravity in the Amazon Kindle store. San Francisco Daily Pulse crime reporter Mike Green is a man killing time. Waiting to join his wife in paradise while fantasizing about her kid sister. Waiting for his Navy SEAL son to respect his draft dodger dad. Wishing he had the guts to play hardball with murderers the system doesn’t have the balls to strike out. But the thought of slow death behind bars terrifies Mike. Until his doc tells him he has less than a year to live. 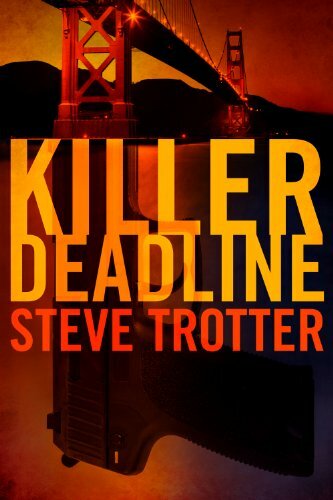 Click here or type in http://smarturl.it/14e6ms into your web browser to pick up your copy of Killer Deadline in the Amazon Kindle store. Once an amusing extrovert with a reputation as a prankster, Mr. Rosen is entering his senior years as a stoic, thirty-year converted introvert who hates change, has little to no interest in people and is more than content to have his wife sit in the navigator’s seat of his life. Since becoming a practising introvert, there have been almost no changes in his life, and for the few that there were, his wife had walked him through them, including the recent move to a much smaller home in a lower/middle-class neighbourhood where he lives directly next door to a racist whose nine-year-old son addresses him as Mr. Jew. 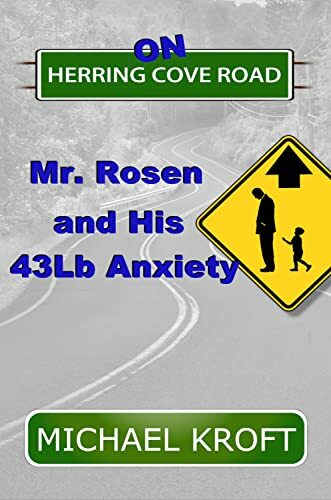 This heartwarming and feel-good novel offers a roller-coaster ride of emotion as Mr. Rosen’s habitual world begins to implode while on a collision course with the chaotic world of an innocent child, its troubled mother and vengeful father. *Warning* The novel contains a section of strong language and involves story elements of death, alcoholism, and domestic violence. Not recommended for those under the age of fourteen. Click here or type in http://smarturl.it/herringcove into your web browser to pick up your copy of On Herring Cove Road: Mr. Jew and the Goy Boy in the Amazon Kindle store. Laura Nichols is no amateur at historical preservation, and the elegant 19th-century Louisiana mansion, Crapemyrtle, promises to be the perfect showcase for her talent. After her first infuriating meeting with its handsome new owner, Justin Roman, she’s determined to prove the house can be both breathtaking and ready in time for his wedding. But if he doesn’t trust her abilities, why does he give her the final say on any changes to be made, even over his fiancée’s objections and growing jealousy? As the wedding date approaches and the mansion nears completion, can Laura bear the thought that she will never live in it with Justin…? 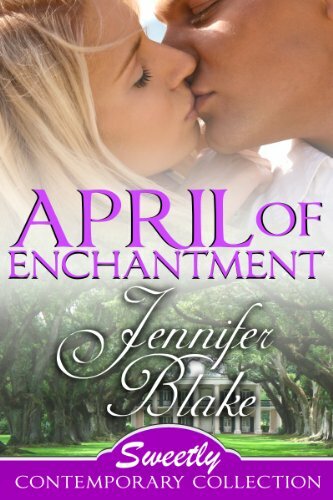 Click here to pick up your free copy of April of Enchantment in the Amazon Kindle store. 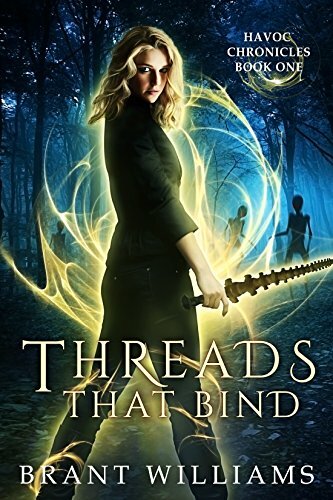 Click here to pick up your free copy of Threads That Bind in the Amazon Kindle store.